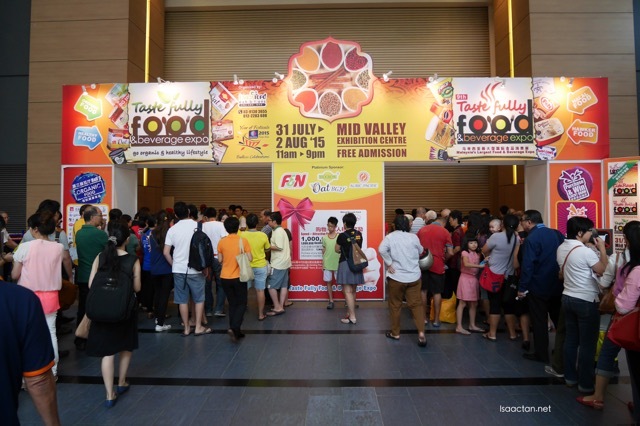 The food and beverage expo to be at, the Taste Fully Food & Beverage Expo is back again for its 16th edition, this round at Midvalley Megamall. If you haven't read my previous writeups on this not to be missed expo, just do a search for it on the top right section of this blog. Food is pricey nowadays, so what better way to save up then to get good deals at expos like these. The previous one I've been to, people were already queuing up before the doors were opened! 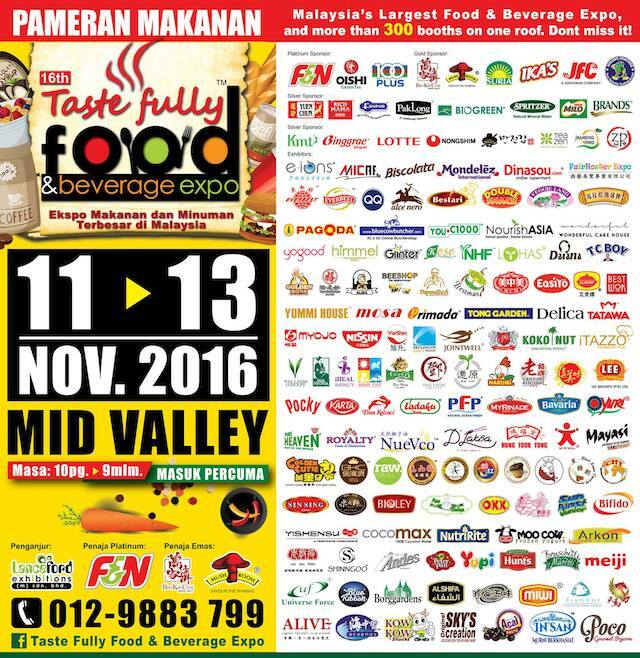 Free entry, the 16th Taste Fully Food & Beverage Expo 2016 will be held in Mid Valley Exhibition Centre (MVEC Hall 1-3), Kuala Lumpur this Friday to Sunday from 11-13 November 2016 (10am-9pm). Come one, come all! Why Go For The 16th Taste Fully Food & Beverage Expo 2016? Why do I say it's a must-go? 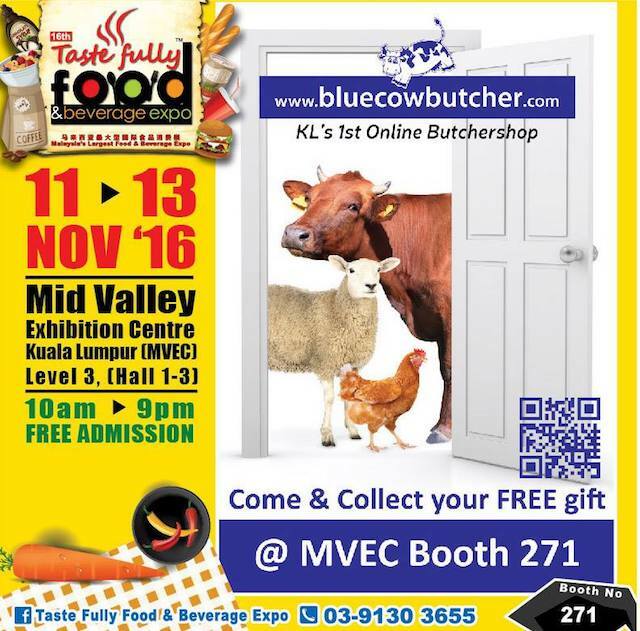 For starters, this is Malaysia's largest food & beverage expo, held only a couple of times a year. With over 300 booths selling various types of food products, services, even equipments, be on the look out for many, many freebies to take back as well. Don't discount the fact you can come hungry, and leave with a tummy filled with various food and drinks samples. 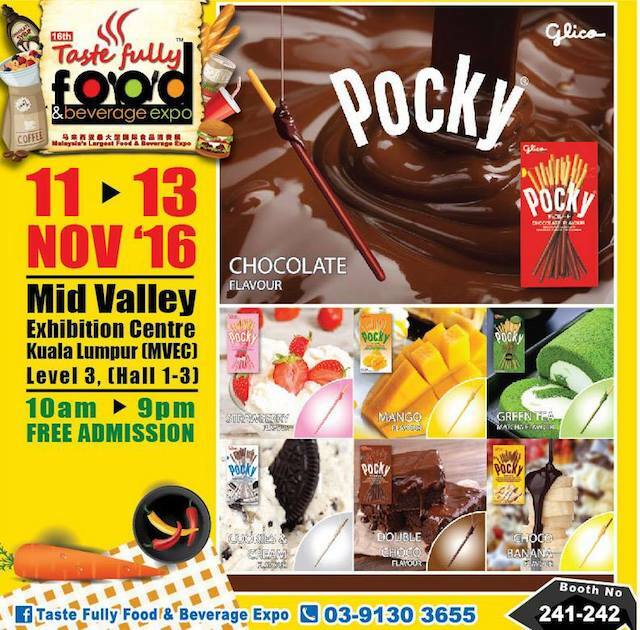 With over 300 booths to explore this weekend, remember to drop by the 16th Taste Fully Food & Beverage Expo 2016 which starts this Friday itself over at Midvalley Megamall! Shop till you drop, you can literally do that this weekend. What are you waiting for? See you there! Check their official Facebook Page at https://www.facebook.com/Taste-Fully-Food-Beverage-Expo-291202534266096 for up to date information.